SOD / TURF GRASS ROLLS VANCOUVER, BC. Buy Online. Delivery or Pick Up. Looking for great looking sod in Vancouver or the Lower Mainland? You may browse our photo gallery for look at some of our past sod installation project in the Vancouver area. Sodding a lawn in Vancouver can be done throughout most of the year. We have a very pleasant climate, our growing season is from March until early November. How much does it cost to get sod installed? We have special pricing on sod installation / lawn replacements on now for $2.49 per square foot in the Vancouver, Lower Mainland. Need a pet grass roll? Need a small quantity of sod? 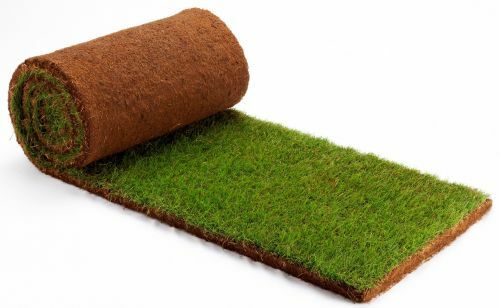 Looking for sod or turf grass rolls for your lawn in Vancouver or the Lower Mainland? BC Instant Lawns is your local sod / turf farm supplier company. Are you looking for a few rolls or an entire new lawn? We deliver and have pick up options. 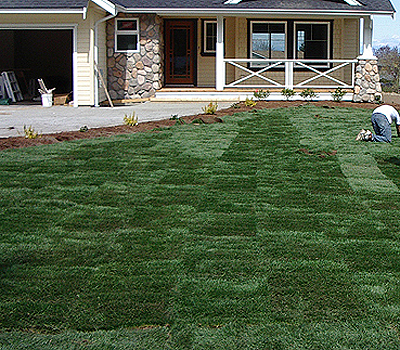 We supply and Install sod in Vancouver and the entire Lower Mainland from Whistler to Hope. Top soil supply, installation and preparation. We install new lawns for residential clients, sport fields, golf courses and commercial application throughout the Vancouver, Lower Mainland. We will complete any sized residential lawn installation. For years we have built a reputation of quality products and professional service throughout Vancouver. Having a sod lawn installed by BC Instant Lawns is the best and fasted way to boost the visual appear of your home, and to get to enjoy your property to the fullest. Excited to host summer parties and barbeques? Trying to take advantage of the seller’s market and maximise the potential value of your home? Need a safe place for your kids to play outside? The best time to install a farm fresh sod lawn is today. We have worked for clients in Kitsilano who take pride in their beautiful gardens, for clients in Kerrisdale who want their yard to look as stunning as their home, and even for clients in the west end, who have small sod patches on their patios for their pets. And if you live in Killarney, Sunset, Shaughnessy, or Oakridge we have probably already completed a job or two on your street. Our Vancouver clientele has kept us busy for years, and we are honoured to be able to continue to exceed our customers expectations right here at home. Call us at 604-454-4954, fill in the online form below, or email us at sales@bcinstantlawns.com and let us show you why we are Vancouver’s best lawn company. BC Instant Lawns and Landscapes, Turf and Sod Supplier in Vancouver. Looking for a great new lawn delivered or picked up locally?